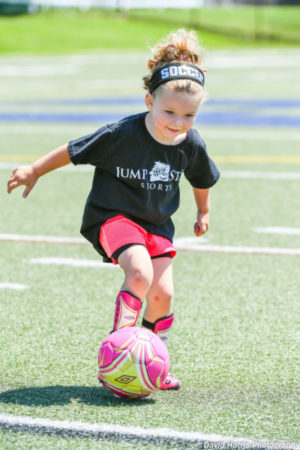 Jump Start Sports soccer programs teach children the fundamentals of soccer using a wide variety of fun and age appropriate drills as well as game play. Hummingbirds Soccer: Boys and girls ages 3 – 6 year old have fun and learn the basics of soccer: dribbling, passing, trapping, shooting, and positioning. Each session consists of instruction and low-key, non-competitive soccer games. Recreational Soccer: Boys and girls ages 7-8 learn the fundamentals of soccer as well as more complex aspects of the sport in a program designed for experienced players and novices alike. Each session includes skill instruction and game play.